The list of controlled dangerous substances under Maryland law is extremely long and detailed. Almost every drug that is used or sold out on the streets is defined somewhere in the statute books. Even synthetic drugs that resemble marijuana such as spice and K2 now appear in the CDS laws. But there is another type of drug crime that is not so easy to classify, but yet will still result in prosecution. The distribution and even possession of fake or counterfeit drugs is a surprisingly common crime. A police officer will not simply laugh and walk away if the catch someone with a dime bag full of oregano. There are literally hundreds of substances that can be used to mimic the look and feel of an actual street drug. The actual chemical substance that is in the bag or package is irrelevant. It’s the intent that matters. We have seen defendants arrested for trying to sell baking soda and even sugar to undercover officers. And we have seen adults and juveniles be arrested and sometimes expelled from school for possessing a bag of innocuous herbs. Keep in mind that it is not a valid defense that the suspected drugs were actually an entirely legal substance. If you or a loved one is caught selling or possessing fake drugs it is important to hire an experienced criminal defense lawyer immediately. Benjamin Herbst has defended numerous counterfeit controlled substance cases, and understands the challenges they present. There are two crimes under state law that deal with fake drugs, and they are broken down into either distribution or possession. Distribution is a felony punishable by up to five years in prison. Yes, you read that correctly. 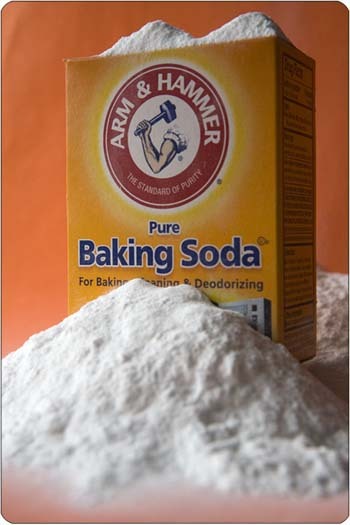 A person selling baking soda or oregano can wind up being a convicted felon if their case is not handled properly. There are a variety of factors that the state can look at to determine whether enough evidence exists to charge a person of this felony. They include the physical appearance of the substance, the packaging, and whether the amount of money asked for was considerably higher than the actual value of the substance. It is not an adequate defense that the substance was sold for less than the drug it was posing as. For example if a person were accused of selling a gram of baking soda for $20 it does not matter that a gram of cocaine costs $40 to $70. All that matters is that a gram of baking soda costs much less than $20. It is also not a defense that the person believed that the substance was an actual drug. Possession and purchase of a fake drug is a misdemeanor with a maximum punishment of 1 year in jail. Once again the state will look at the appearance of the substance and how it’s packaged to determine if charges are appropriate. This particular crime is common with juveniles, and many times arrests are made at the child’s school. Once again, the state will not simply drop the charges because no actual controlled substance was involved. These charges frequently end up in court and must be defended in the proper way to avoid a conviction and even jail time. The Herbst Firm is available 24 hours a day for a free consultation about your case.